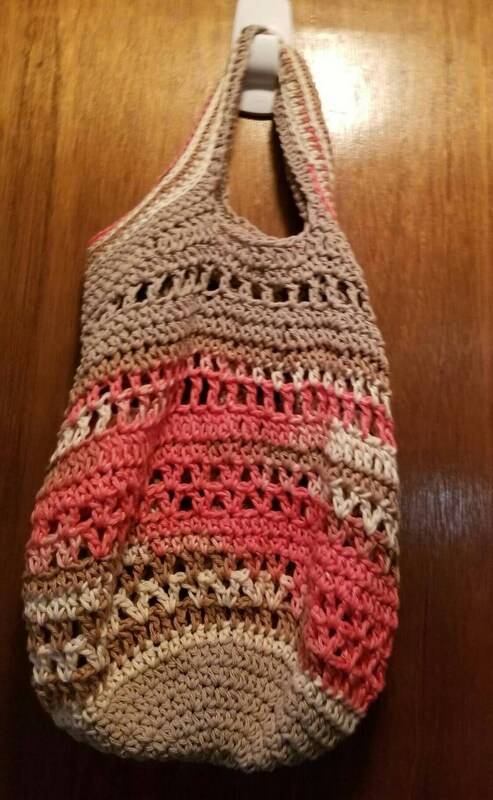 Great bag for shopping, taking to the beach, taking your things to the gym! Cotton bag strong enough use as your Market bag for shopping bag or just carry stuff or consolidate stuff in your house. It is about 17" across the top and about 16" deep. Handle to base of bag about 24". 100% percent cotton hand crocheted just for you!